L-Tron successfully exhibits new 4910LR Driver’s License Scanner in Iowa and New York. 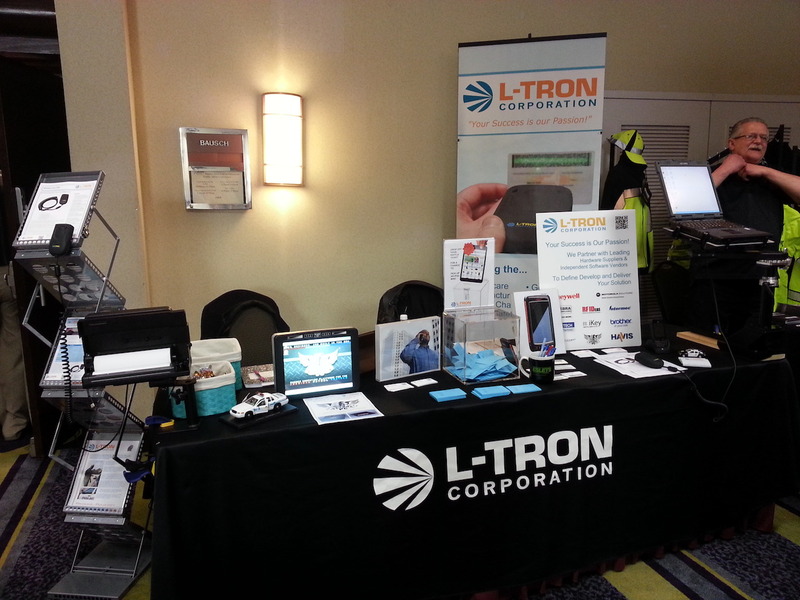 L-Tron Corporation recently exhibited at two Law Enforcement conferences in North America: Iowa’s Governor’s Highway Traffic Safety Conference in Altoona, Iowa and the Empire State Law Enforcement Traffic Safety Conference (ESLETS) in Rochester, New York. At both events, L-Tron showcased their cutting-edge 4910LR Microphone-Style Driver’s License Area Imaging Scanner, along with the Company’s spectrum of e-citation solutions and patrol vehicle equipment. L-Tron’s rugged 4910LR, released last month, captures data from driver’s licenses, vehicle registrations, and laptop screens at traffic stops, accident scenes, and incident scenes. Purpose-built for patrol cars, the scanner works hand-in-hand with TraCS and other Law Enforcement software packages to reduce the burden of administrative tasks, lower operating costs, and virtually eliminate manual errors. The 4910LR is currently featured as an Editor’s Pick in the May/June issue of Law Enforcement Products News magazine and available for purchase on L-TronDirect.com. L-Tron held a drawing for a brand-new iPad mini at each conference. The ESLETS winner was a Sergeant from eastern New York State. The Iowa winner was a Sheriff from Grundy County, Iowa. Next up for L-Tron? The Law Enforcement Information Management (LEIM) Expo in Scottsdale, Arizona from May 21-23, 2013. More information on this conference can be found here.